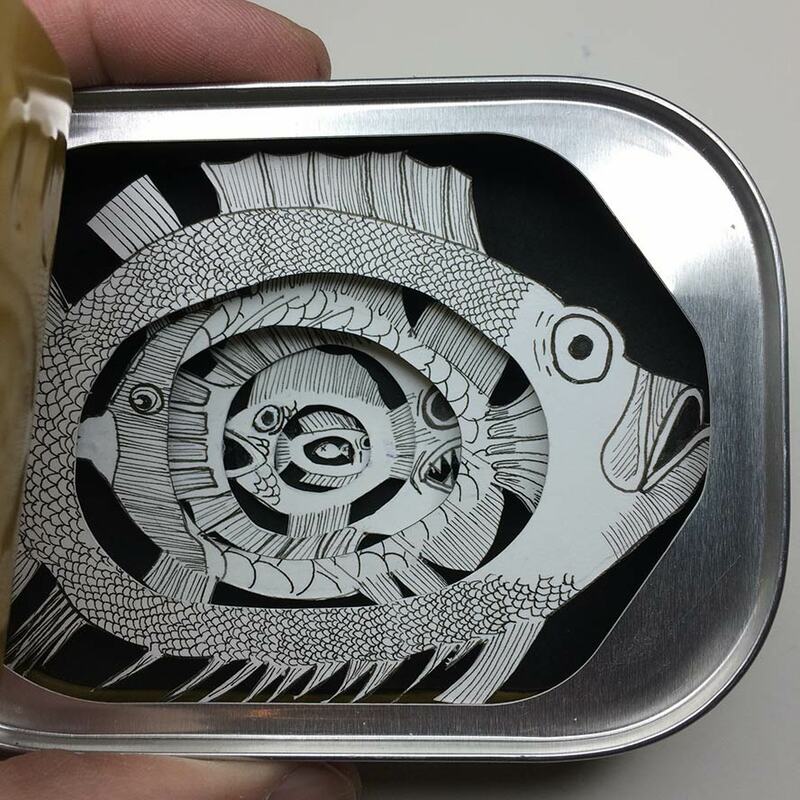 The original version of this was destroyed in a flood. 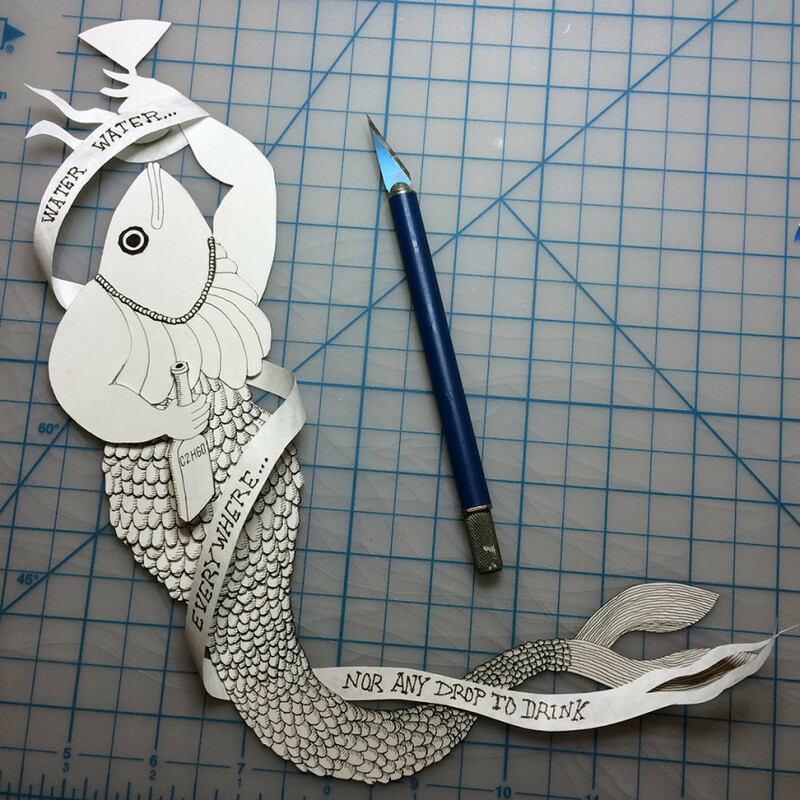 Posting here for posterity. 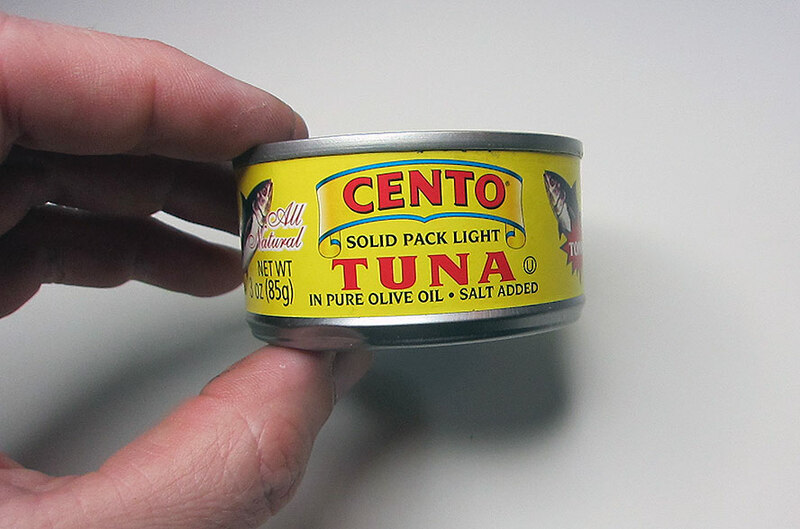 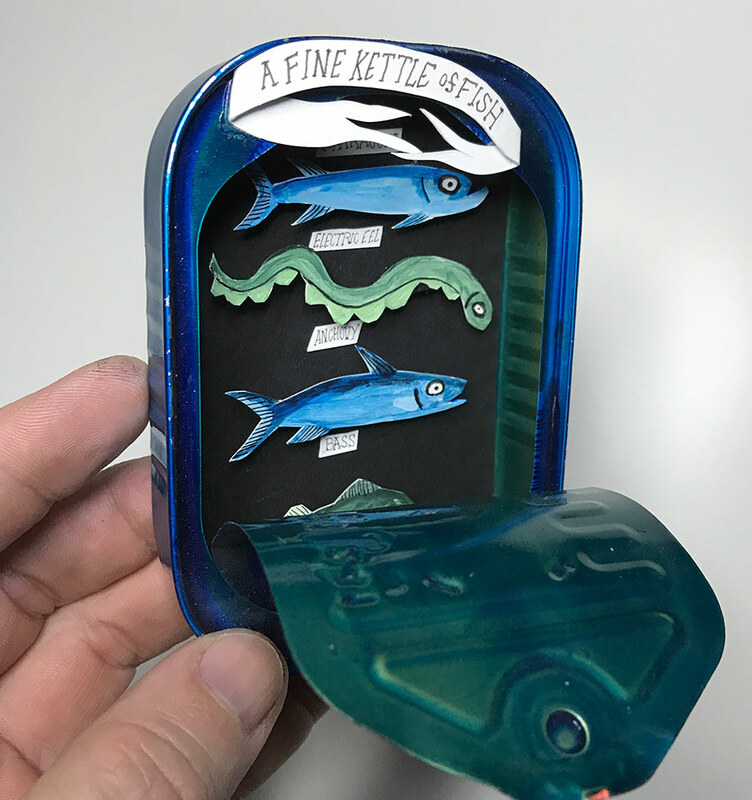 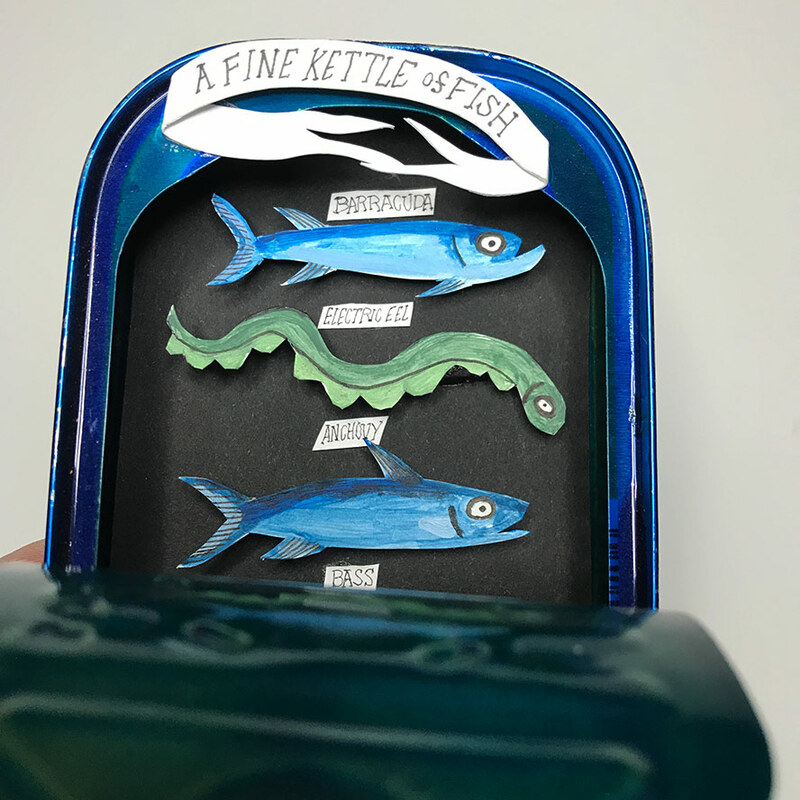 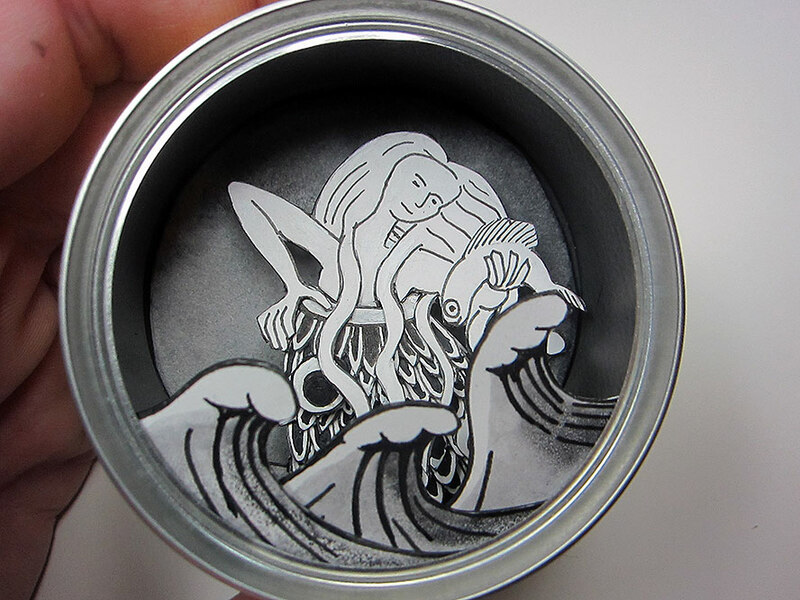 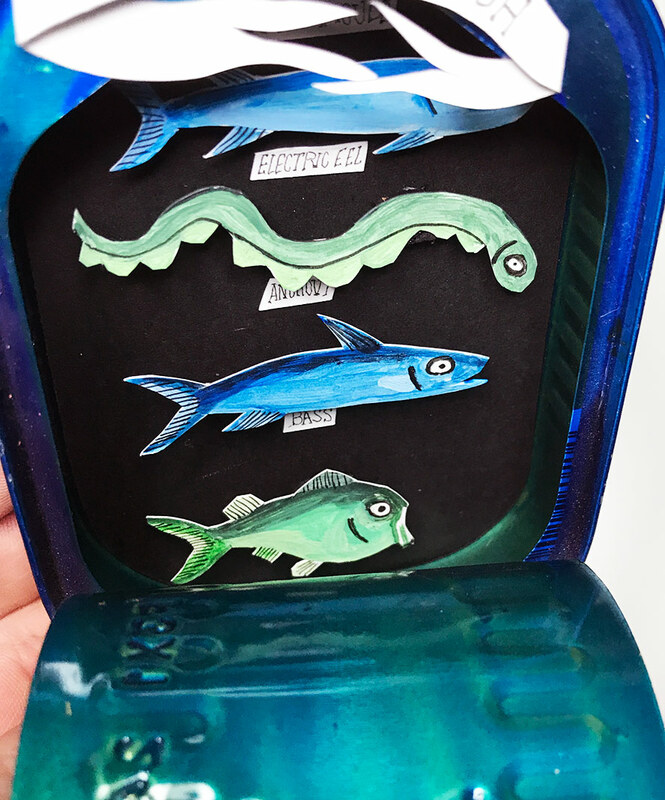 Cento makes small, single serving size tuna cans, which happen to work well for dioramas. 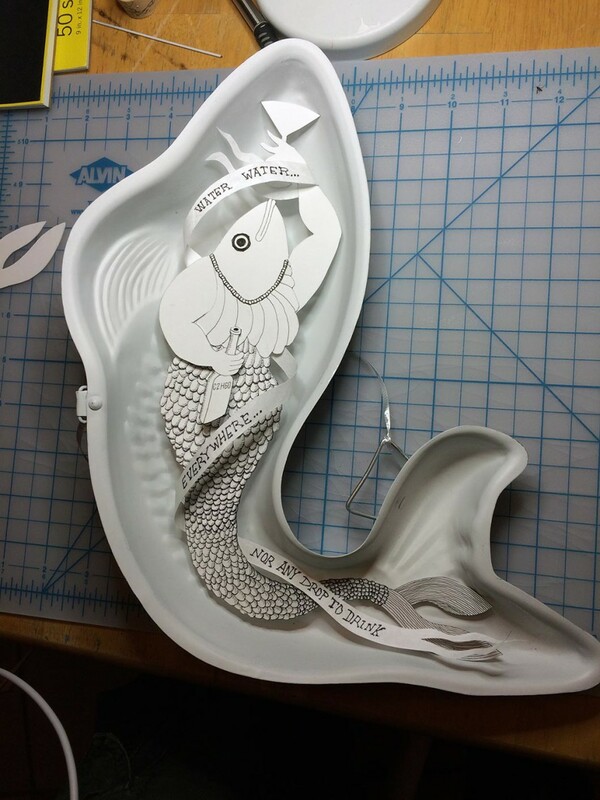 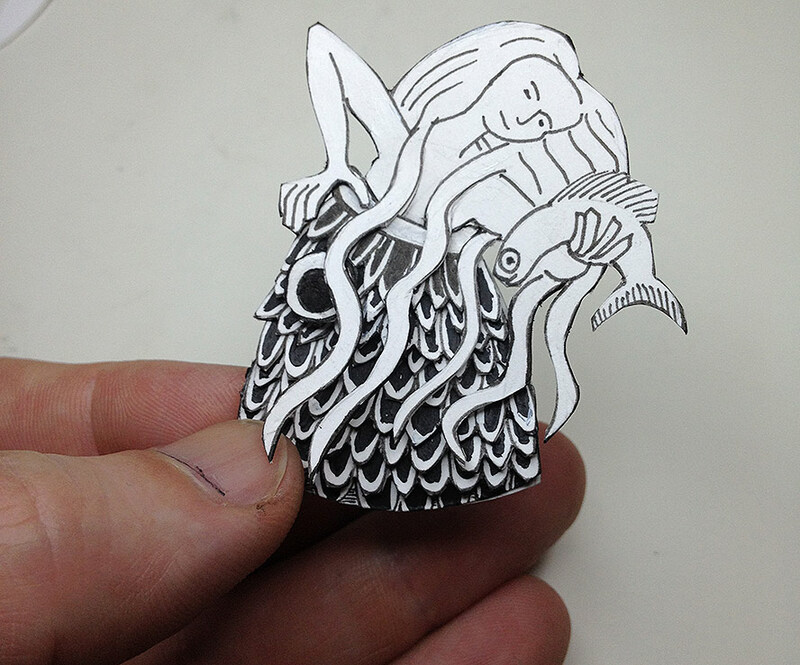 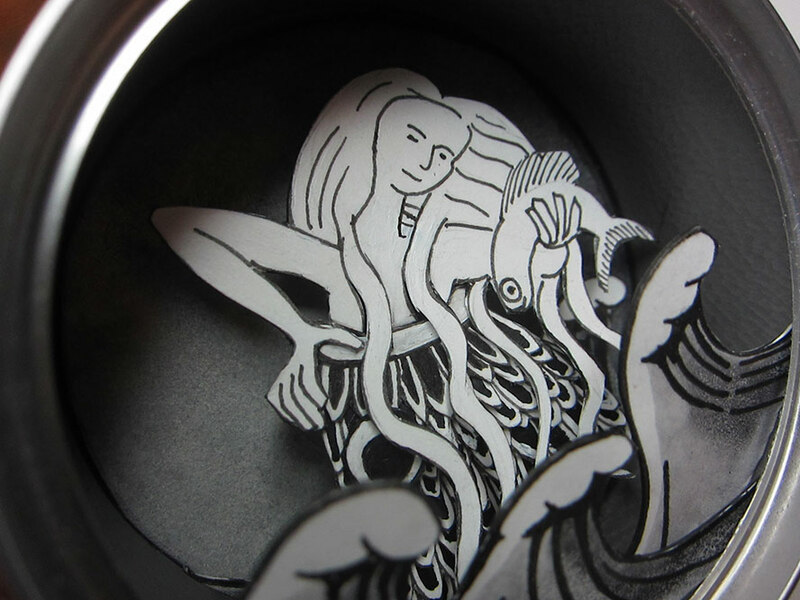 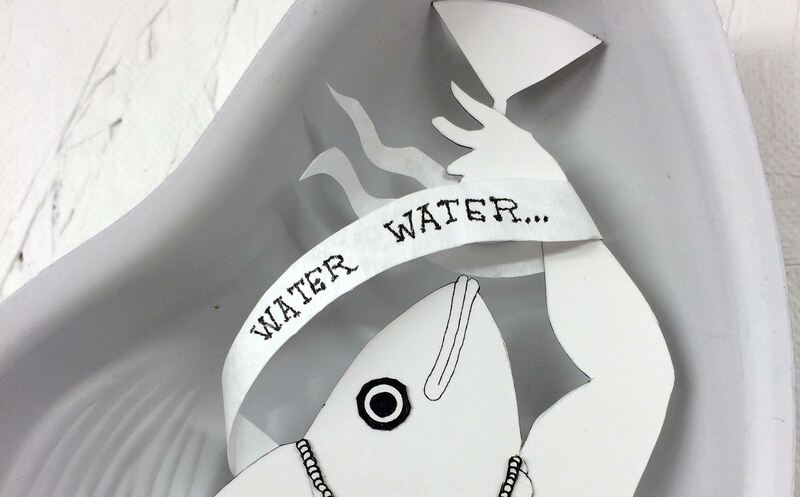 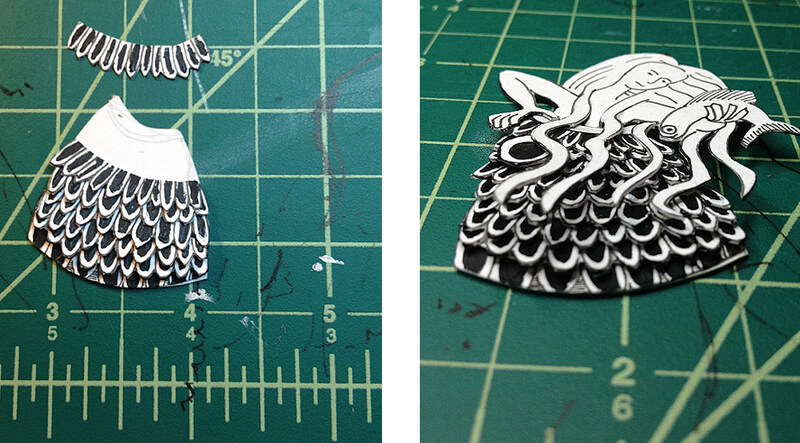 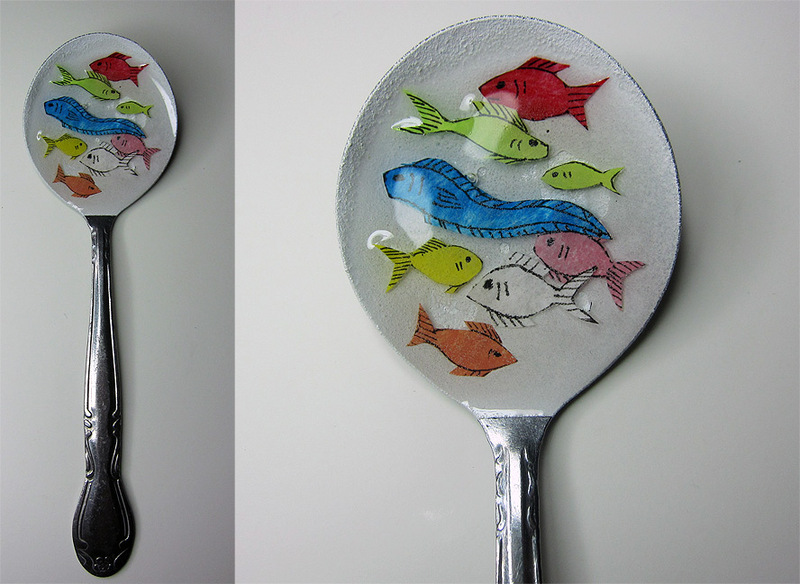 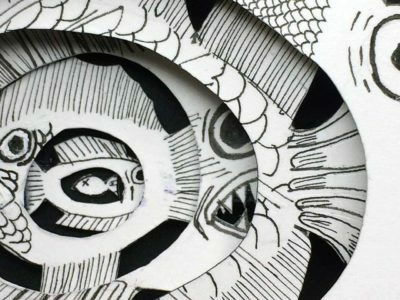 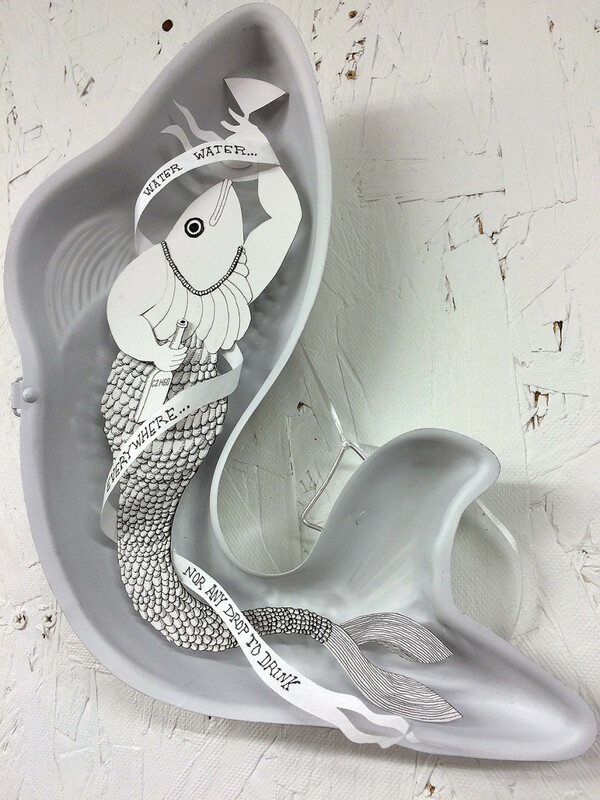 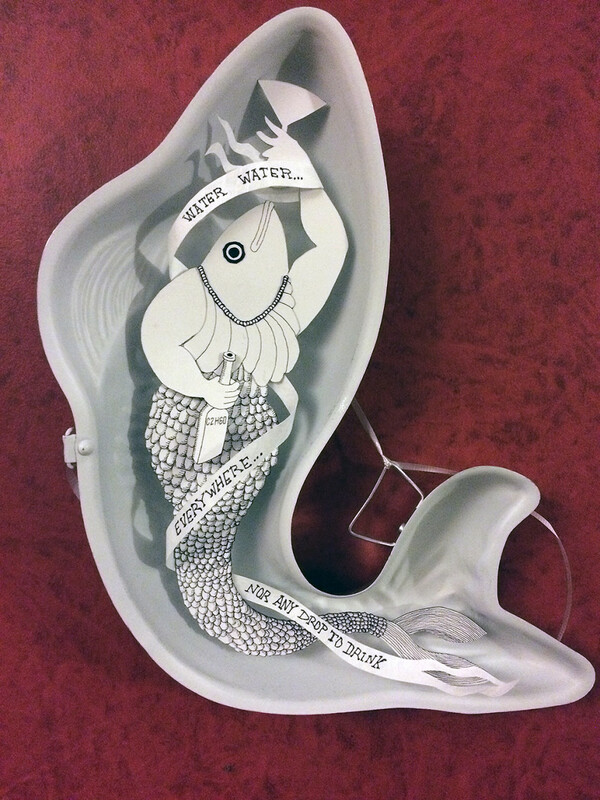 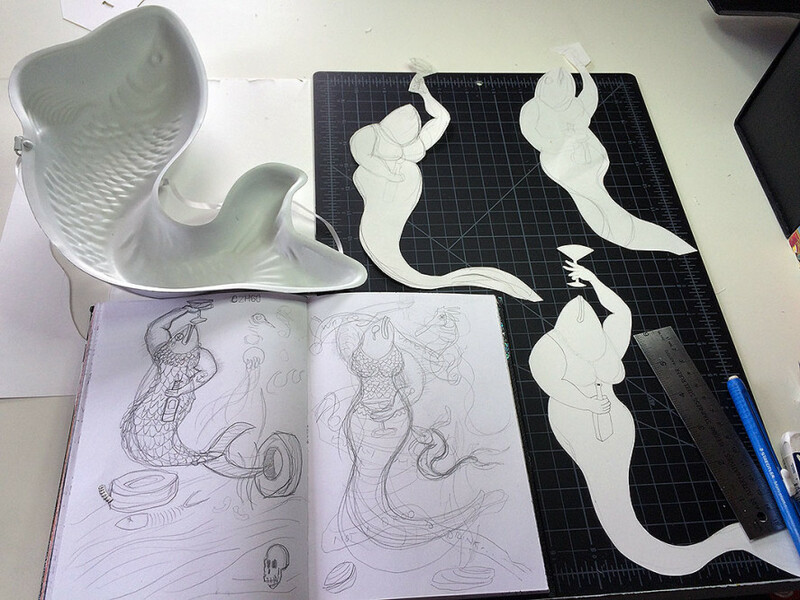 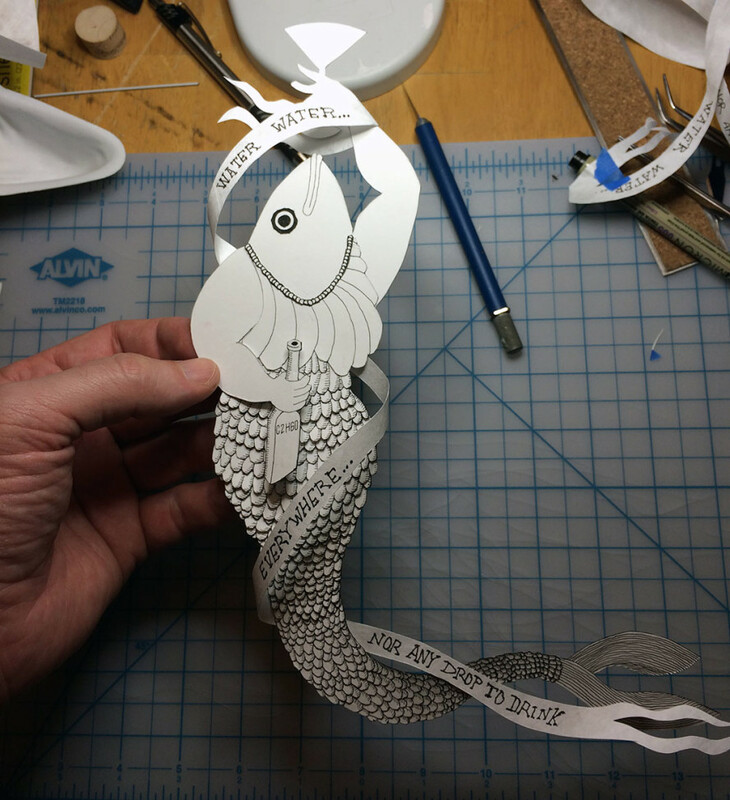 One of the things I like about this piece was cutting out all the scales on the fish.